"At Kraft Terrabusi, we fought against the arrogance of a US employer, we set up a class-conscious shop stewards’ committee, and now we are going for more: We are organizing women’s commissions with our female comrades whose jobs are uncertain, with mothers, sisters and wives of our male comrades. We know that, in view of the crisis and the arrogance of bosses like Kraft, we have to be united." Pamela Bulacio, one of the women workers who led the struggle against the US multinational and who is now a member of the new shop stewards’ committee, said that. "We are going for more," because women workers, who are the ones who suffer the worst conditions at work, the majority among those with precarious employment, those who are paid the worst wages and who bear responsibilities at home after long days of being exploited, showed their decisiveness by confronting the boss from the US and the union bureaucracy, in defense of their union delegates. And they did it, in spite of repression by Cristina’s government, pressures from the US ambassador, and the media campaign against them. They showed that it is possible to fight, it is possible to twist the arm of the boss, that it is possible to confront the maneuvers of the Ministry of Labor with the willingness to struggle. That "silent army" of hundreds, thousands, millions of women workers, that put up with harassment from foremen and managers, brutal rates of production, miserable wages that always lag behind inflation, has made its voice heard . . . It is saying "Enough!" in the food factories. But these women are not the only ones . . . There are also thousands of women who work as teachers, health workers, telephone workers, metalworkers, food workers, cleaning workers, textile workers, workers in sales, agricultural workers, transport workers, bank employees, who no longer want bureaucrats in their union, who are demanding wage raises, who want better working conditions. They are all those women who are getting organized with their neighbors, housewives, students and unemployed women, also, in order to confront the networks that enslave women, and to confront the rapists; they are those women who are making demands for their relatives, the victims of the businessmen’s criminality of the owners of Cromañón and LAPA; those women who continue to denounce the police who murder their children in poor neighborhoods; the women who demand that the right to a therapeutic abortion be honored when a minor girl is abused, those who do not want any more deaths from back-alley abortions; those who denounce the most brutal forms of violence against women. They are also the militant female students, who, with their youth and rebelliousness, are in active solidarity with the struggles of these working women, showing that this alliance is essential in order to confront the capitalists and their attacks, in order to struggle for all our rights, with independence from the state and from the parties that represent the employers’ interests. That is why this year â€” which marks a century since the International Socialist Women’s Conference where the German leader Clara Zetkin proposed commemorating International Women’s Day â€” cannot be a day like everyday . . . The "silent army" is beginning to stand up. And, as Pamela, at Kraft, said, "we are going for more." This March 8 is an opportunity to denounce the Kirchners’ capitalist friends or those who are behind the right-wing "Republicans" of the opposition; to denounce the cynicism of the Church, that hides rapists and pedophiles among its ranks; to denounce the parties of the regime that, if they agree on anything, it is to go on paying the foreign debt, keeping the brutal work conditions with miserable wages and not to advance one bit in the rights that we women are demanding. 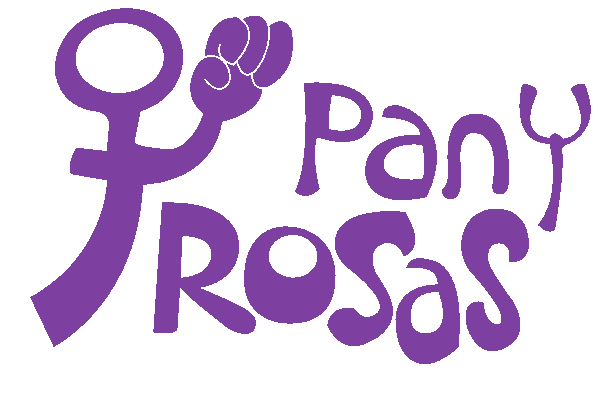 The Pan y Rosas group will march next to the new women delegates in opposition to the bureaucracy at Kraft and PepsiCo; with the women delegates in opposition to the union bureaucracy at FOETRA; with the teachers’ women delegates that confronted the bureaucracy of Baradel; women who form part of the new grassroots trade unionism that is sweeping through the workers’ movement. • The capitalists must pay for the crisis! No to paying the foreign debt! Minimum wages must be equal to the family grocery basket and increase with real inflation. For the defense of the Kraft shop stewards’ committee and all the militant delegates of both sexes attacked by the bureaucracy, the employers and the courts. Let us promote women’s commissions in all workplaces. • Not one more death from back-alley abortions! No more dragging legal abortions into the courts! For the right to unrestricted abortion, provided without cost. Separation of the Church from the State. Full civil rights for lesbians and all people, regardless of their identity or sexual orientation. • No more violence against women! Dismantle the prostitution and slave-trade networks. Immediate and unconditional release of Romina Tejerina. • Imperialist troops of the US and the UN, out of Haiti! No more repression against the people of Chile! Let us organize solidarity with our Haitian and Chilean sisters and the impoverished and working-class people of these countries affected by earthquakes.